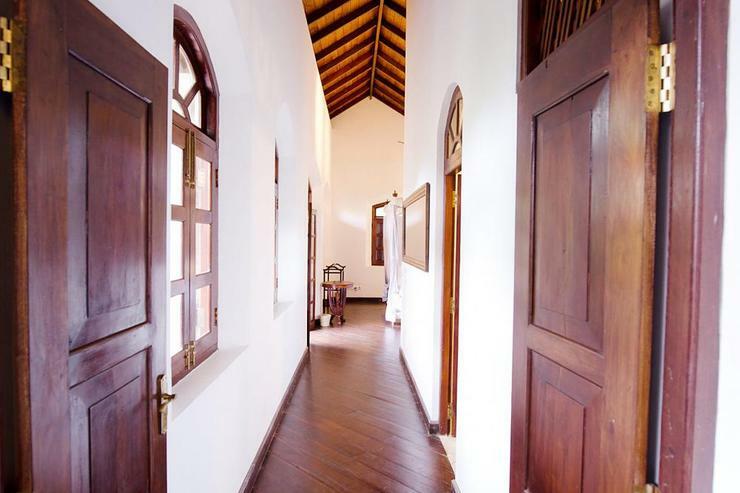 The front was not attrative but once we opened the door the villa cheers every one up after an 8 hours drive from Kandy ! The dining table was all set up ready to have dinner. The first impression was so important Although there are some minor issue but we feel at peace and happy to stay on this main street , Light House Street 's villa This villa eventually became the head quarter of after party hang out It was a perfect set up couple of nights we have 25 people in , no one wanted to leave they all enjoying themselves so much It was good to see I stayed behind at my master suites which is quite soundproof from the party's noise. The manager also managed to book us great massages , that was a real treat ! We had an extended family stay for 3 nights and didn't want to leave! We had 8 people. There are two day beds in a small room which is like the foyer to the main bedroom and this was very suitable for 2 young kids. You can also sleep an extra kid in the TV room on a day bed, but there is a pressure pump in the ceiling of this room that's a bit noisy for sleeping. We were looked after by two young men, both called Ajeeth, both very helpful and the food was very nice! Had a huge seafood bbq on arrival which was delicious. 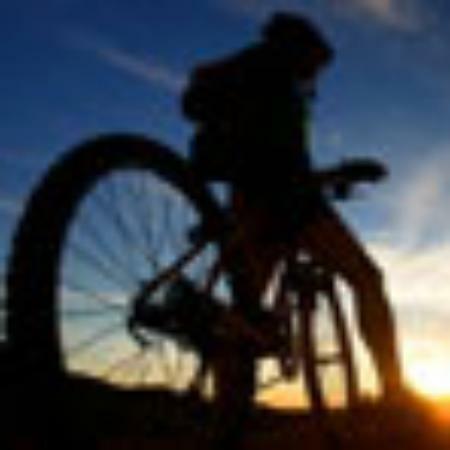 Location excellent, close to everything in the Fort. 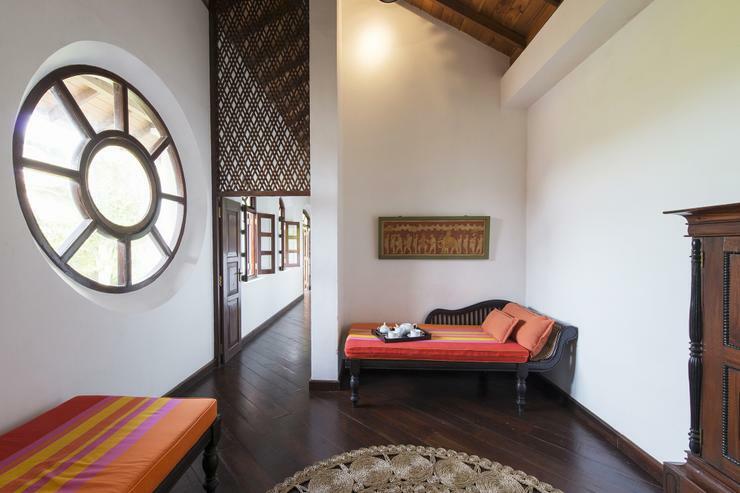 The house is incredible, the restoration is superb, with soaring ceilings, tasteful period furnishings, privacy and great ventilation and fans. Air con and fans in bedrooms, all have a nice ensuite. Just perfect for a large family group. I'll be back. 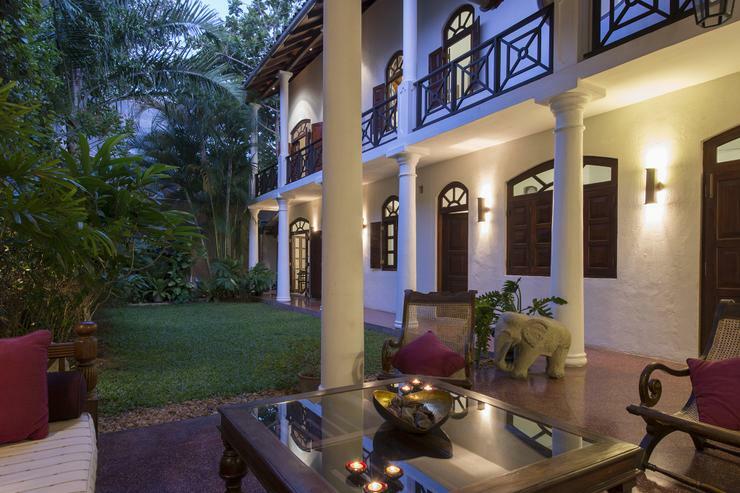 Right in the heart of Galle Fort! 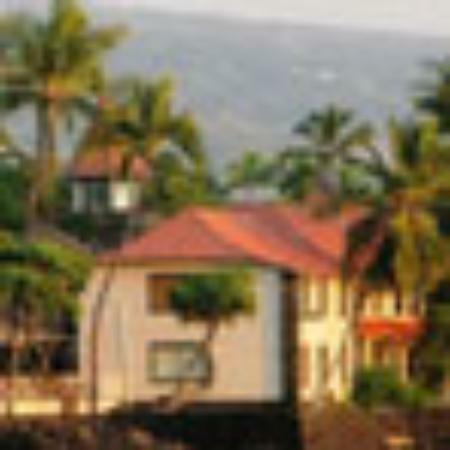 If you are looking for a villa right in the heart of the action then this is it. We stayed 2 nights and loved every minute. 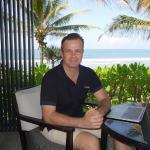 The team of two staff and villa manager made us feel extremely welcomed from the moment we arrived. 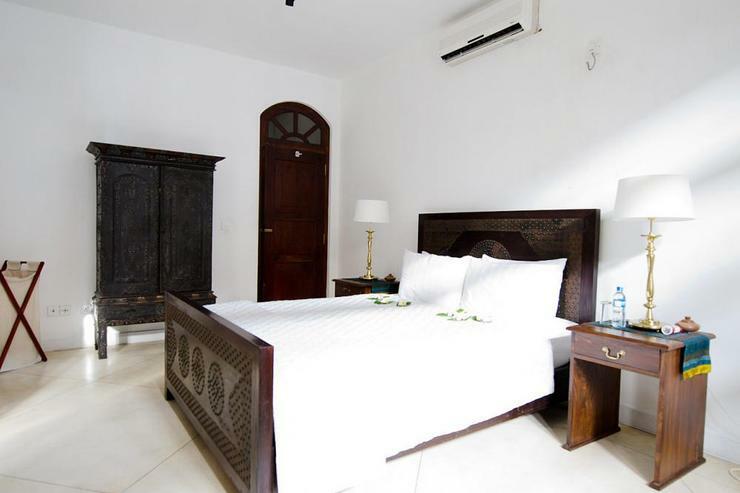 The villa is a wonderful 3 bedroom villa, all bedrooms come with ensuite bathrooms and air-conditioning. 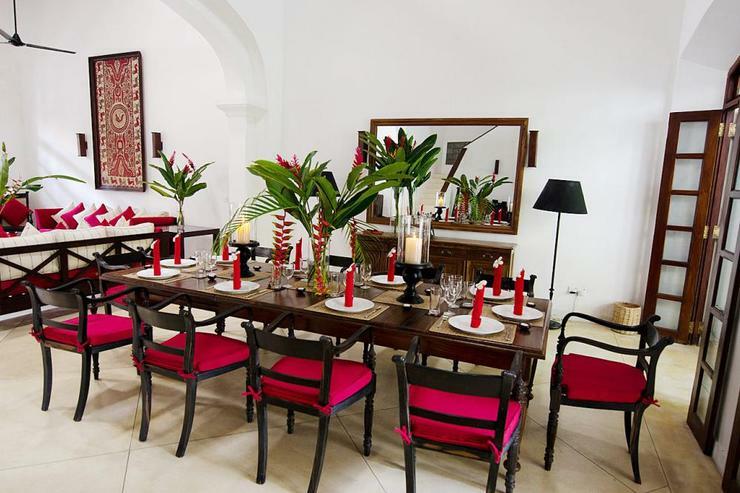 Breakfast is included daily and is a traditional Sri Lankan meal however the staff can also purchase other ingredients if you prefer a cooked breakfast with eggs, toast and cereals. 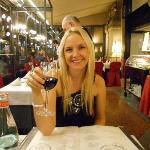 They can also cook lunch and dinner and a menu is provided to help you choose but the team is also flexible and can cater to dietary requirements if needed. 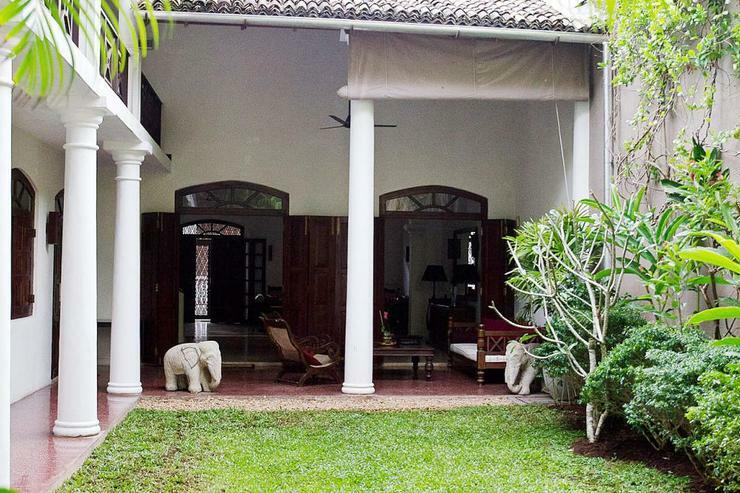 If you are looking for a villa in Galle then I highly recommend this property. Plus it's great value for money! Thank you to the team for looking after us... we will be back! 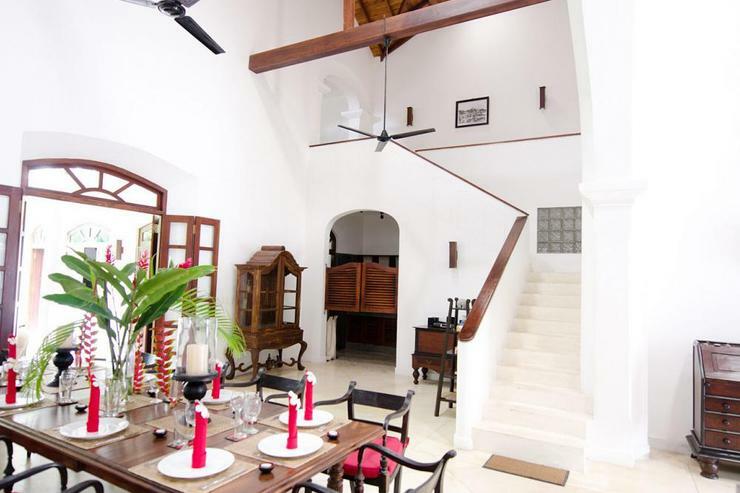 The perfect home base for exploring Galle: we loved coming home to No. 39 after roaming the lanes of Galle Fort each day. 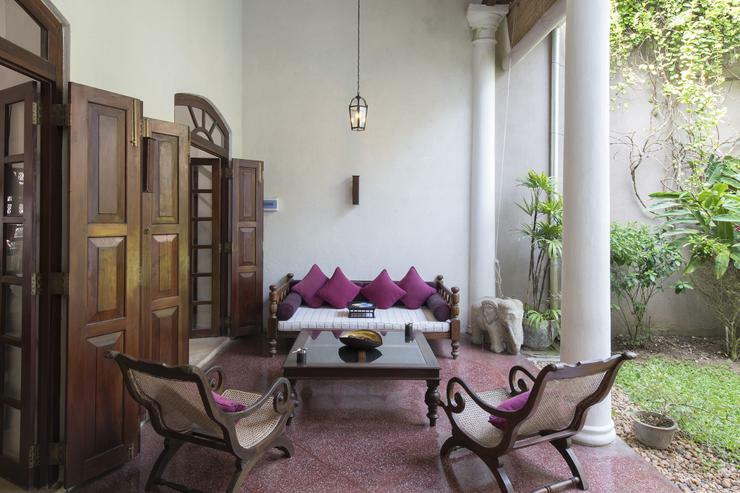 The villa looks unremarkable from the outside, but as soon as you walk through the door you are greeted with high ceilings, Sri Lankan art and comfortable furniture and a lovely courtyard. 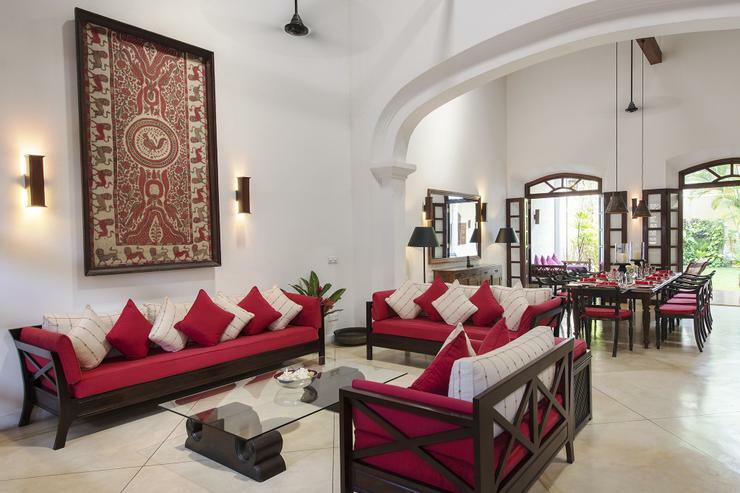 The villa is remarkably spacious and very, very private. Ajit, the villa's live in attendant, makes a delicious breakfast and really cares for his guests. He'd turn on the A/C in the bedrooms in the afternoon, before we'd come home, so they were the perfect temperature for us. He also lit tea candles and keeps the property in immaculate condition. 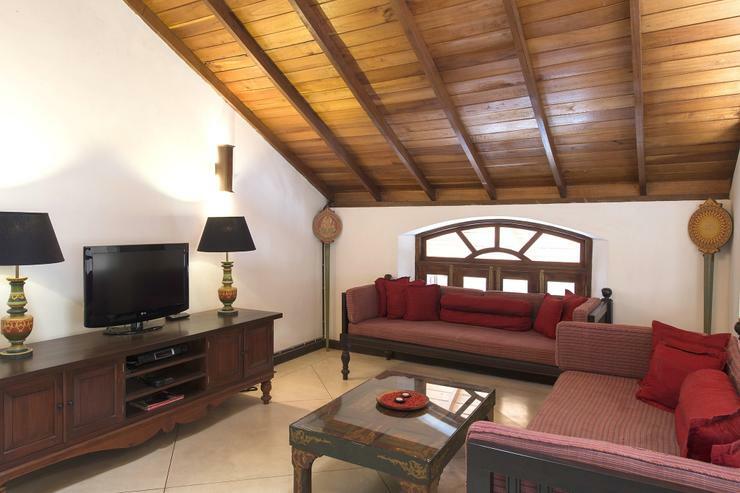 The 3 bedrooms were incredibly comfortable, amazing water pressure, super fast Internet, great overall energy throughout the property. Full marks Ajit, thank you for looking after us! 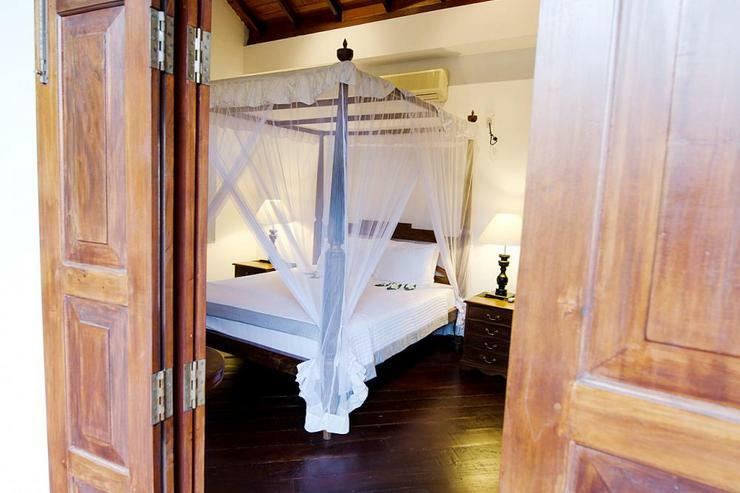 Feel like King of the Fort in No.39 Galle Fort channeling romance from times gone by. Pop through the doors of No.39 and what opens up for you? Your own personal colonial style mansion, that’s what! 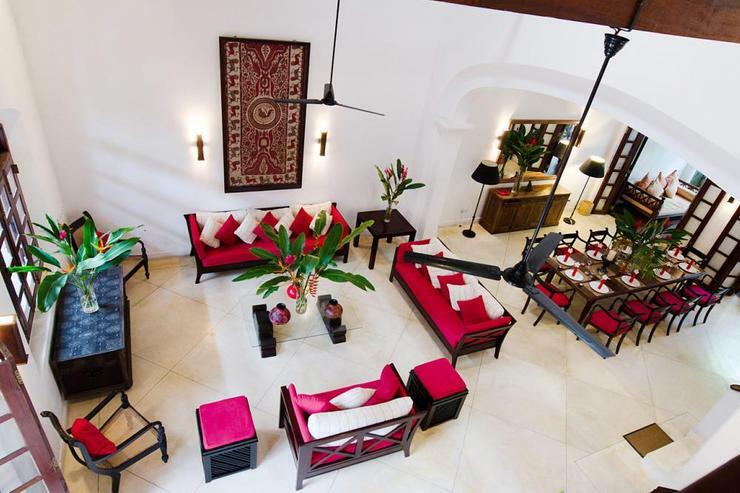 The high roofs, the well-chosen furniture, the inviting upstairs TV room, and each of the amply-sized bedrooms all exude luxury and sophistication,… and then you have the impressive courtyard! 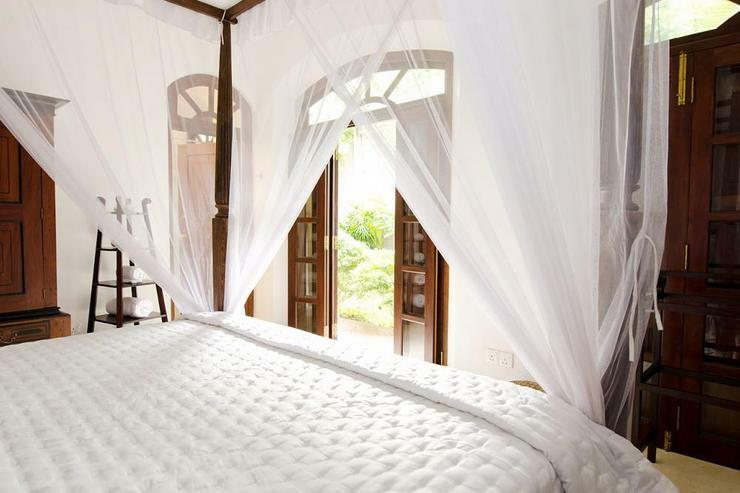 We weren’t too sure what to expect when coming to Fort Galle, but once we came into No.39 we knew we were in for a treat as we knew we would feel right at home in this ultra-elegant abode for the few days we were here. 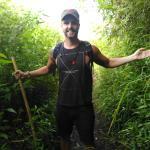 The villa manager Mark greeted us with a warm smile and a plethora of information about the Fort and the area, as well as giving us great tips on where else we should explore and what we should do while in Sri Lanka. 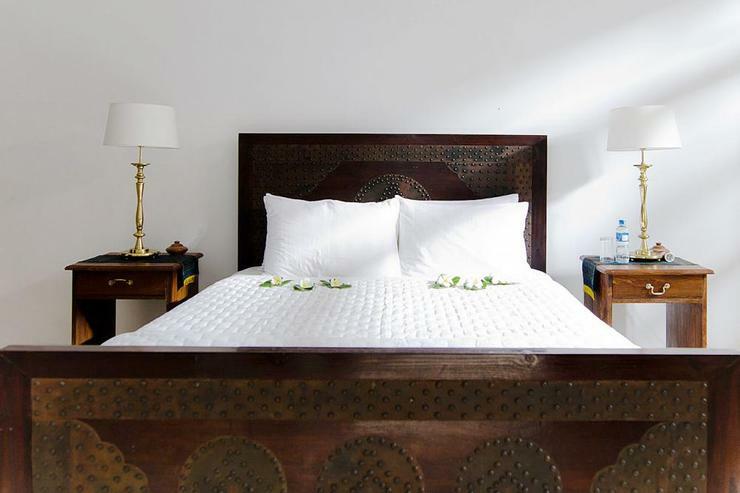 Each bedroom and bathroom, as well as the conjoined dining and relaxation space, had meticulous attention to detail for us to relax and either just read a good book, or have a drink and chat with each other. The daily complimentary breakfasts cooked by our chef-come-butler Ajit were second-to-none: scrumptious (and spicy!) Sri Lankan-style stringhoppers with shaved coconut, chili, and dhal. DELICIOUS. Otherwise, you can opt for a Western-style omelette or similar instead. 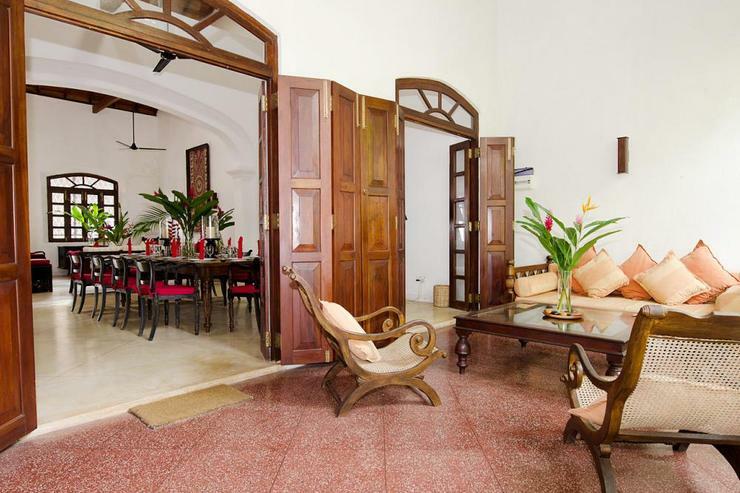 The style and features throughout the property engage you with a sense of romance and adventure, and sets itself as the perfect locale for you to then explore the Fort and see all the little streets and alleyways - not to mention the simply stunning views from the Fort walls – just minutes away from the main crossroad where the property sits. 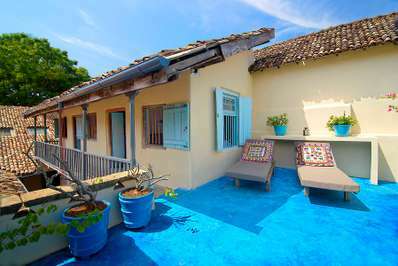 Ideal property for Fort Galle adventuring. 5-stars. 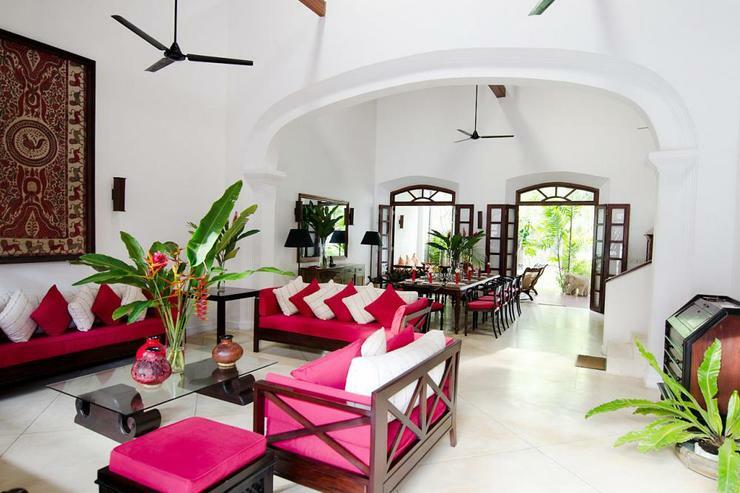 What a stunning place to stay, the house is huge and each room just perfect. We stayed 3 nights but would have loved to have stayed longer. We decided to eat in on two nights and Kuma and Anjit cooked us some of the best food we ate during our entire visit. Galle Fort live sup to its World Heritage status packed with shops cafe and restaurants it just oozes Dutch colonialism. Probably the best place we stayed at during our 2 week stay. Stayed at No 39 with 3 of my friends whilst on a business trip last November. 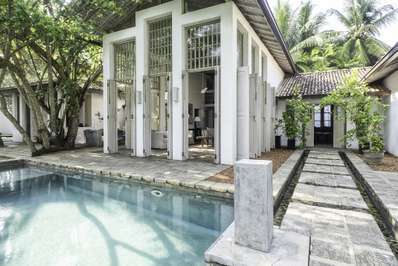 We were so impressed with the place and would recommend it to anyone who is in Galle on business or leisure.This Villas is everything the web site boasts and so much more.It is a grand old house built during the Dutch era.It is a piece of history in it self but with all the modern comforts.The deco is very tastefully done with much attention to detail.The rooms are large and airy and the bath rooms are modern.The indoor court yard is very cool and breezy and the ideal place to sip a cup of Good Sri Lankan Tea whist you relax.Our stay here was made extra special by the welcome we got from our lovely housekeeper Ajith who was always with a smile and all out to please. Ajjith cooked us a lovely breakfast of Sri Lankan Milk Rice and Fresh fish Curry, the day after we arrived.The food was delicious.No 39 is set inside the Galle Fort which is very quiet and peaceful but also only a short drive a way from the Galle Town. We had a wonderful stay here and hope to visit in the near future.Thank You for a memorable stay. We stayed here in December and had an absolutely wonderful relaxed time. 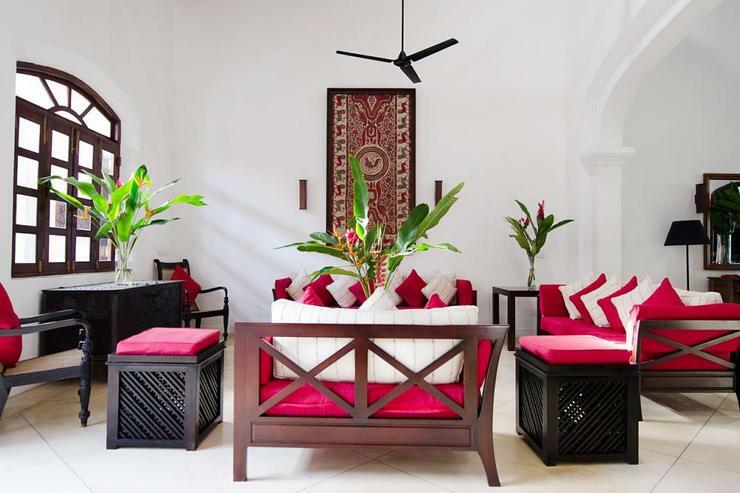 It's a seriously gorgeous building that dates back ~centuries, and has bene revitalized with a touch of modern aesthetic, while maintaining the elegant history of its original structure. 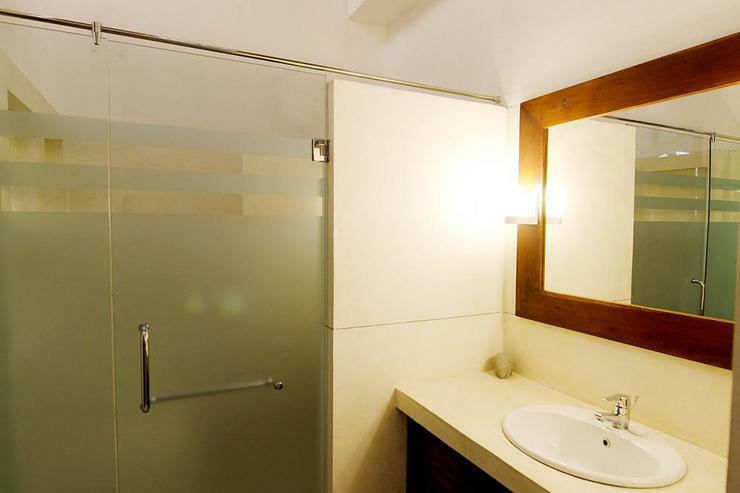 The A/C rooms are delightfully decorated, clean, comfortable — everything you'd want. Bathrooms as well, and the shower was niiiice! Can't speak highly enough of this spot. 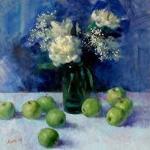 Go for it if it's in your budget — not a chance you'll regret it! If there is a next time, I would certainly stay @ 39. Villa No. 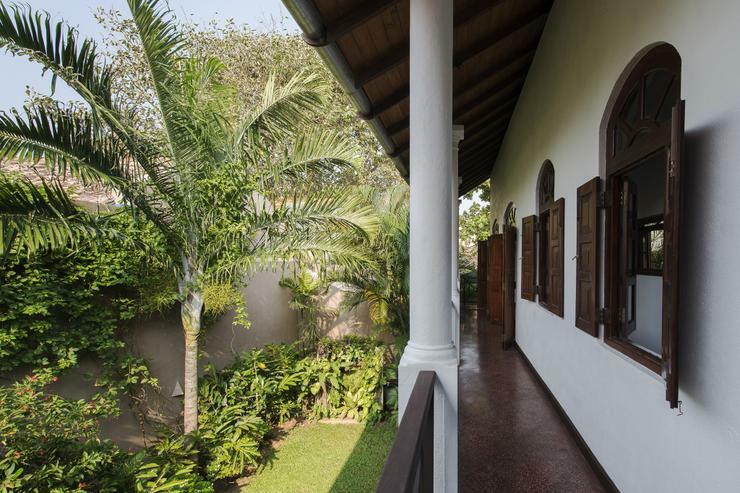 39 occupies pride of place in Galle's historic 17th century UNESCO-certified colonial fort on Sri Lanka's south-western coast. 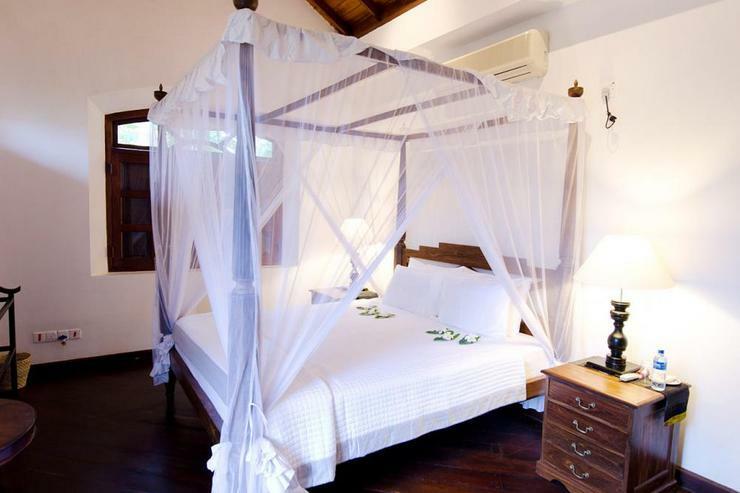 The villa is set about 200 metres from the town's famous international test cricket stadium. The fort itself dates back over 400 years and a walk along its ramparts reveals the fascinating hybrid architecture of three colonial eras - Dutch abodes, British-era monuments, ochre-hued spice warehouses and interesting museums showcasing the fort's rich history. 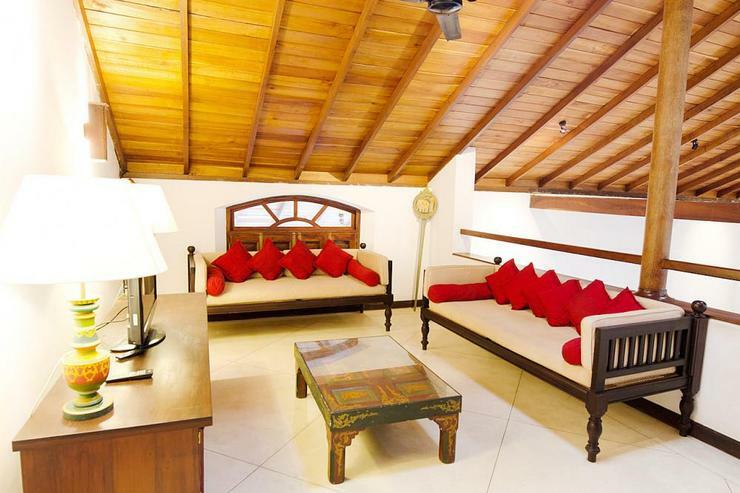 There are many restaurants and cafes within the fort and a selection of mesmerising beaches, tranquil lagoons and historic temples within the 15 kilometres area. 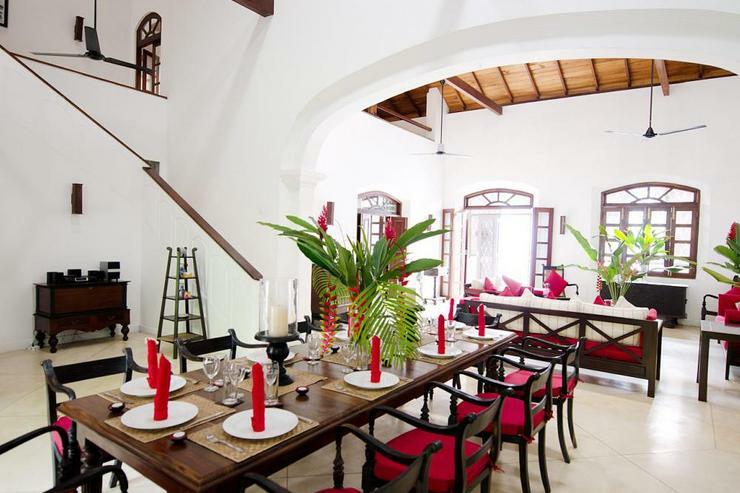 Located in Galle fort, Galle and surroundings. 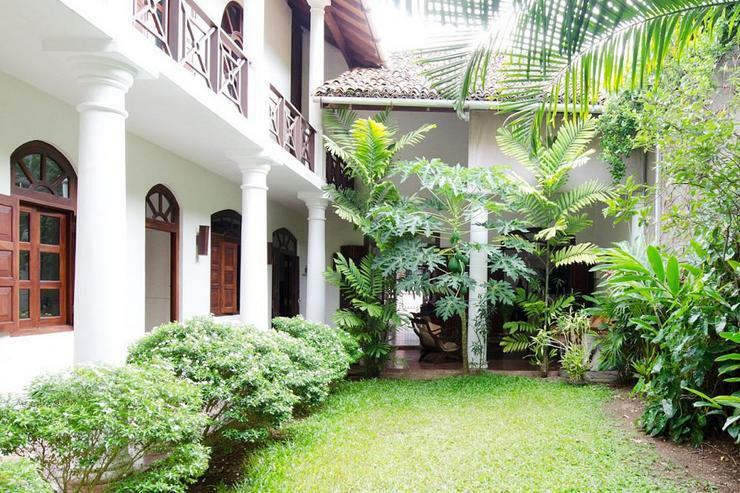 Ambassadors Villa is a in Sri Lanka.